First off forgive me for the photos as there is just hardly any natural light at the moment, so my pictures are a little dull. Nearly every Friday night our little ones request a pizza dinner. Over the years we’ve had so many different kinds of pizza from thin to deep pan, shop bought, to take away pizza and also various home-made pizzas on our table. The best pizzas for us are quite simply these quick and delicious tortilla wrap pizzas, as they’re thin and crispy, healthier and quite honestly super tasty. We make a very easy and healthy pizza/pasta sauce for the base of the tortilla, so we know we’re getting veggies into our kids and us! 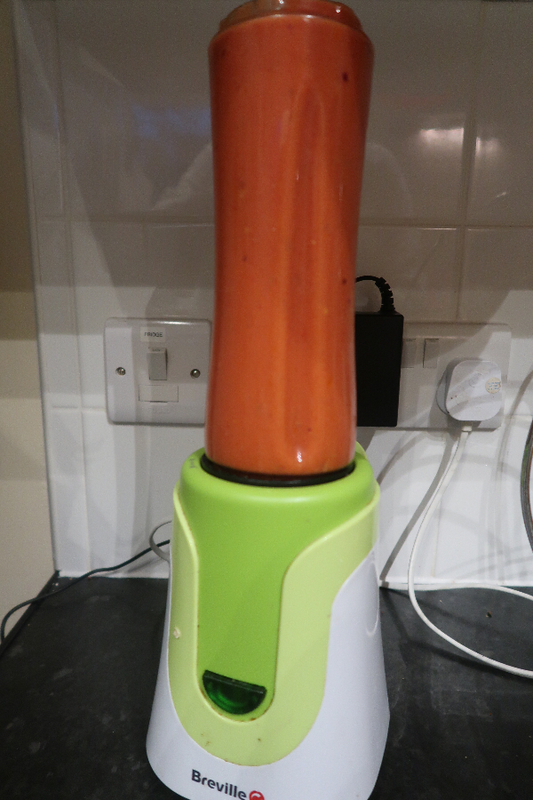 We just use our smoothie maker to whizz up this healthy sauce and vary it each week. 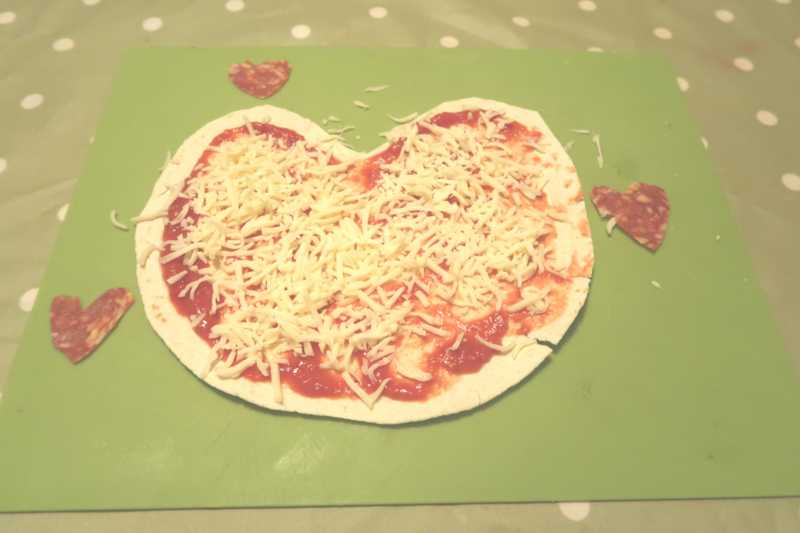 This particular pizza was a fun heart shaped pizza for a Valentine’s meal. Our kids nearly eat a whole one each and we find a whole one with salad plenty for our own adult appetite. Using a food processor or a smoothie maker blitz the fresh and canned tomatoes up. Add in the red pepper and blitz. Then finally add the rest of the ingredients and blitz the lot. Next spoon a couple of tablespoons of pizza sauce onto your soft tortilla wrap and then top with cheese and your desired toppings (do not overload on toppings). 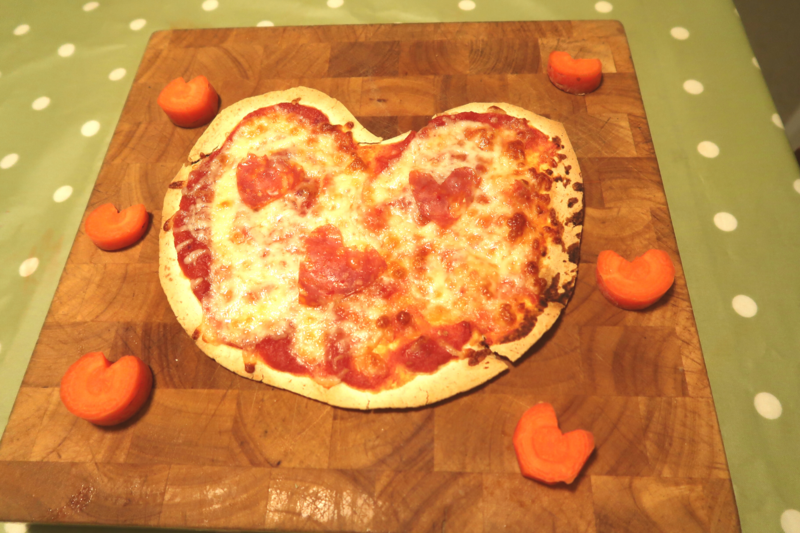 Cook in a pizza tray or baking tray for around 8 mins, keep a close eye as may take a little less or a little longer! Any leftover sauce can be frozen for use another time on pasta or pizza or alternatively chilled for a day or two for another meal. We love a mix of cheddar and grated/shredded mozzarella on our pizzas. You can also add in a small carrot and/or a handful of spinach into the food processor as an alternative to pepper or even as an added extra with the pepper. I hope you and your family enjoy making these pizzas as much as we do. They are also perfect for kids to help make in the kitchen. Pizza is always a win in our house!